Believe me. Oh, believe me. And it’s a bad deal. The biggest concern with the deal is not necessarily that Iran is going to violate it because already, you know, as you know, it has, the bigger problem is that they can keep the terms and still get the bomb by simply running out the clock. And of course, they’ll keep the billions and billions of dollars that we so stupidly and foolishly gave them. The deal doesn’t even require Iran to dismantle its military nuclear capability. Yes, it places limits on its military nuclear program for only a certain number of years, but when those restrictions expire, Iran will have an industrial-sized, military nuclear capability ready to go and with zero provision for delay, no matter how bad Iran’s behavior is. Terrible, terrible situation that we are all placed in and especially Israel. In Gaza, Iran is supporting Hamas and Islamic jihad. And in the West Bank, they’re openly offering Palestinians $7,000 per terror attack and $30,000 for every Palestinian terrorist’s home that’s been destroyed. A deplorable, deplorable situation. Iran is financing military forces throughout the Middle East and it’s absolutely incredible that we handed them over $150 billion to do even more toward the many horrible acts of terror. Secondly, we will totally dismantle Iran’s global terror network which is big and powerful, but not powerful like us. Iran has seeded terror groups all over the world. During the last five years, Iran has perpetuated terror attacks in 25 different countries on five continents. They’ve got terror cells everywhere, including in the Western Hemisphere, very close to home. Iran is the biggest sponsor of terrorism around the world. And we will work to dismantle that reach, believe me, believe me. Third, at the very least, we must enforce the terms of the previous deal to hold Iran totally accountable. And we will enforce it like you’ve never seen a contract enforced before, folks, believe me. Iran has already, since the deal is in place, test-fired ballistic missiles three times. Those ballistic missiles, with a range of 1,250 miles, were designed to intimidate not only Israel, which is only 600 miles away, but also intended to frighten Europe and someday maybe hit even the United States. And we’re not going to let that happen. We’re not letting it happen. And we’re not letting it happen to Israel, believe me. Thank you. Thank you. Iran has collaborated with the Iraqi and Syrian governments in the fight against ISIS, Al-Nusra and Al Qaeda. In fact, it is the U.S., Saudi Arabia, Turkey, Israel and Qatar who has armed and funded and gave safe-passage to terrorists operating in Syria, Lebanon and Iraq. Israel has collaborated with Sunni-dominated states to counter the Shiite-led states such as Iran. Trump is concerned about Saudi Arabia (a state sponsor of terror and one of the worst human rights abusers in the world) who wants to weaken Iran’s influence in the region by any means which includes starting a war (Saudi Arabia would commit suicide if they decided to go to war against Iran). The United Nations is not a friend of democracy, it’s not a friend to freedom, it’s not a friend even to the United States of America where, as you know, it has its home. And it surely is not a friend to Israel. With President Obama in his final year — yea! He may be the worst thing to ever happen to Israel, believe me, believe me. And you know it and you know it better than anybody. So with the president in his final year, discussions have been swirling about an attempt to bring a Security Council resolution on terms of an eventual agreement between Israel and Palestine. Let me be clear: An agreement imposed by the United Nations would be a total and complete disaster. The United States must oppose this resolution and use the power of our veto, which I will use as president 100 percent. When people ask why, it’s because that’s not how you make a deal. Deals are made when parties come together, they come to a table and they negotiate. Each side must give up something. It’s values. I mean, we have to do something where there’s value in exchange for something that it requires. That’s what a deal is. A deal is really something that when we impose it on Israel and Palestine, we bring together a group of people that come up with something. You see, I know about deal-making. That’s what I do. I wrote “The Art of the Deal.” One of the best-selling, all-time — and I mean, seriously, I’m saying one of because I’ll be criticized when I say “the” so I’m going to be very diplomatic — one of… I’ll be criticized. I think it is number one, but why take a chance? One of the all-time best-selling books about deals and deal- making. To make a great deal, you need two willing participants. We know Israel is willing to deal. Israel has been trying. That’s right. Israel has been trying to sit down at the negotiating table without preconditions for years. You had Camp David in 2000 where Prime Minister Barak made an incredible offer, maybe even too generous; Arafat rejected it. In 2008, Prime Minister Olmert made an equally generous offer. The Palestinian Authority rejected it also. Then John Kerry tried to come up with a framework and Abbas didn’t even respond, not even to the secretary of state of the United States of America. They didn’t even respond. When I become president, the days of treating Israel like a second-class citizen will end on day one. Thank you. And when I say something, I mean it, I mean it. I will meet with Prime Minister Netanyahu immediately. I have known him for many years and we’ll be able to work closely together to help bring stability and peace to Israel and to the entire region. Meanwhile, every single day you have rampant incitement and children being taught to hate Israel and to hate the Jews. It has to stop. When you live in a society where the firefighters are the heroes, little kids want to be firefighters. When you live in a society where athletes and movie stars are the heroes, little kids want to be athletes and movie stars. The 1999 election of a Labour Prime Minister, Ehud Barak, made no difference, ushering in “a sustained commitment by Israel’s government to avoid full compliance with the Oslo agreement”, according to Jimmy Carter, most notably in the form of the greatest increase in illegal Israeli settlements that had yet taken place. The popular story that Barak had made a ‘generous offer’ on Palestinian statehood at negotiations in Taba in 2001, turned out to be a complete myth. In December 2003, Sharon launched some called “the maneuver of the century.” It refers to his 2005 Gaza “disengagement” as a ploy to secure greater West Bank control and give up nothing in return. In March 2006, he suffered a stroke, became incapacitated, and Ehud Olmert took over to “nail down” Sharon’s key objective – “a permanent solution, an end of the Occupation based on the notion of cantonization.” It would have to be unilateral as Palestinians were offered nothing. However, Trump said that “we will send a clear signal that there is no daylight between America and our most reliable ally, the state of Israel. The Palestinians must come to the table knowing that the bond between the United States and Israel is absolutely, totally unbreakable.” “Unbreakable” is a code-word for U.S. presidents George W. Bush, Barack Obama and other politicians have used in the past in regards to the strong US-Israel relationship. 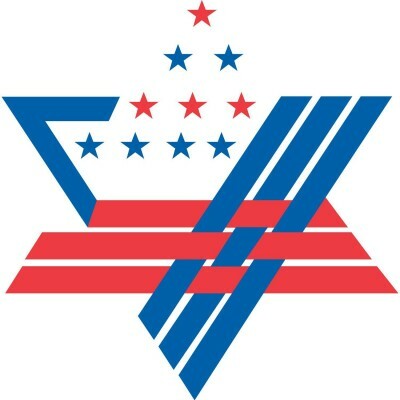 The U.S. government continues to support Israel with foreign aid (est. at $3 billion annually). As for Trump working with the Israeli war criminal and Prime Minister Benjamin Netanyahu to bring peace to the Middle East is a lie. Netanyahu will bring more war to the Palestinians and increase Israeli settlements and possibly would lead an attack against Iran if Trump as U.S. President would allow him to. The hope the American people have for Donald Trump will fade quickly if he were to become the President of the United States although I do think Hillary Clinton will become the president because she has the support of major banking institutions, Zionist billionaires and Israel, the main-stream media and multinational corporations. As for the Middle East, a Trump Presidency would be disastrous for Iran (not that Clinton’s would be any better) and the Palestinians but extremely beneficial for Israel. Donald Trump’s speech to AIPAC reveals his true colors and that is a danger to the Middle East region.